GOV.UK Verify has been in public beta since 14 October. One of the services we've been working with is rural payments. 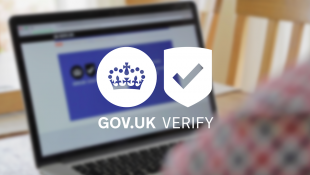 We’ve been working with the service and with our certified companies to gather and respond to feedback from early users of GOV.UK Verify so we can continuously refine and improve the service. The rural payments service is now available in beta on GOV.UK without people needing a special invitation. You can read more on the CAP Reform Blog about what’s available for people to do on rural payments now and how the service will continue to develop in the new year. To verify your identity and access the service using GOV.UK Verify, you’ll need a passport and / or driver licence, and some financial history through things like holding a credit card, loan or mortgage. If you have these things you’ll be able to use GOV.UK Verify to access the service digitally, at your own convenience and without having to make a call, attend a counter service or send things through the post. For those people who don’t have the necessary documents or financial history, the service is providing an alternative way to access the service by telephone - details are provided on the service's start page. We’ve blogged about how we’re working to expand the range of evidence people can use to verify their identity over time, so that more people will be able to use GOV.UK Verify to access services that need to know who they are.